Here is an image of the crew of an ML which has no names attached. Telegraphist Andy Edwards is pictured in No 8’s to the left of the Ensign Staff. 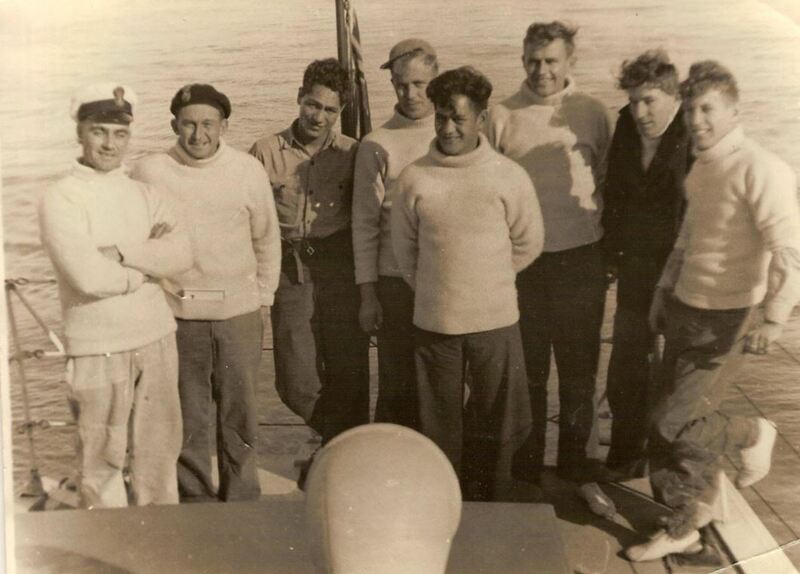 I am guessing it is HMNZS PAEA P3552 as that is the only small ship Andy served on. Date would be sometime between Sep 1954 and Jan 1956. Great picture and another example of why we should name our pictures. Kia ora folks. I will with your permission post this in both HMNZS Monowai (survey) and ExRNZN Club FB sites. We have been getting a lo-t of older salts coming onboard. Ka kite ano. Zaps.